Brief description: 1 Corinthians – How can a church function in an environment of pleasure, athletics, commercial & personal affluence? The first of Paul’s letters to the Corinthian church has been lost; unless a fragment of it remains in 2 Corinthians 6:14-7:1. Therefore 1 Corinthians is actually Paul’s second letter to the church in Corinth! The church at Corinth existed in a secular & sensual city. The people there were preoccupied with pleasure, athletics, commercial & personal affluence. This city was a melting pot of different nationalities & was intellectually proud, materially affluent & morally corrupt. Paul visited Corinth, remaining there about a year & a half, establishing a growing church (Acts 18:8,10) of Jews, Gentiles & ex-pagans. Paul’s letter to the Corinthian church was written about 55AD from Ephesus, during his 3rd missionary journey, in response to a letter from the Corinthian church (1 Corinthians 7:1). The basic purpose of Paul’s letter was to address & correct the conduct & attitudes of many of the Corinthian Christians. The big temptation was for the problems to be viewed in relation to the secular & social setting. A strong word from the Lord was needed. 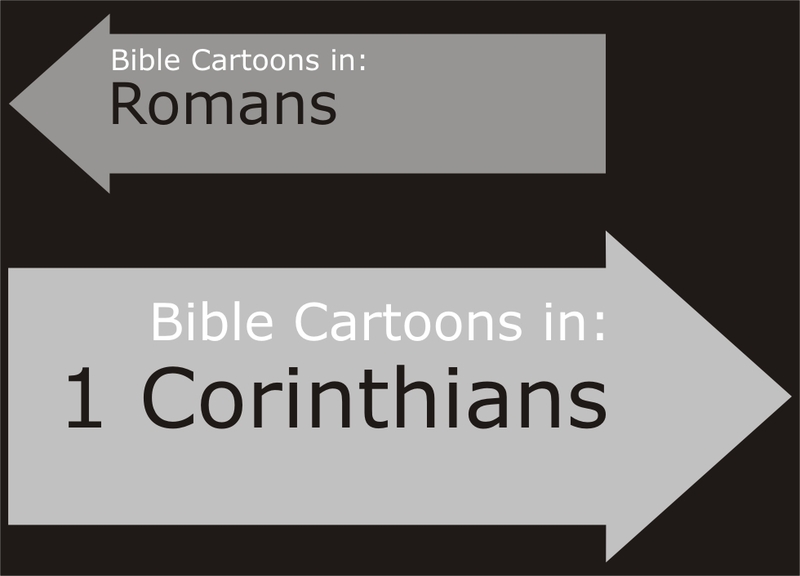 First Corinthians is that strong & authoritative word. Guidelines & principles are given that can direct us today in dealing with these same problems. The apostle Paul had been the leader in the early days of the church at Corinth. He held a deep sense of responsibility for its members. He wanted to direct them away from pagan solutions & toward facing their problems in a godly & uniquely Christian manner. His call was to break completely with the pagan responses & reactions, & realise that Christ lived withing them, that their bodies were a special temple of the Holy Spirit. Having pointed them toward distinctly Christian behaviour, Paul instructed them in matters of doctrine so they would not fall into error. 01) Christian faith calls for thoroughly Christian conduct by believers. 02) Gifted leaders should never be followed in such a way as to divide the church. 03) Our bodies are a special dwelling place for the Holy Spirit. We should always recognise that truth & live consistently with his presence within us. 04) Marriage is a sacred relationship & great care should be taken to maintain its strength. 05) Spiritual gifts are God’s gracious provision for the church & are always to be exercised cooperatively in love. 06) One of the indispensable Christian distinctives is the hope of the resurrection of the dead. 07) Church discipline must be clearly understood & properly carried out by the church. While this letter was written to deal with specific needs in the church at Corinth, it has tremendous value for us, today. The hearts of people have not changed, & neither have the principles by which God works. 01) We have the same tendency to build factions around gifted leaders. 02) Our own very pagan & carnal society continually influences our lives. 03) Tremendous pressure is being brought against the home today. Immorality & unfaithfulness are commonplace. Serial marriages are becoming accepted as normal. 04) One of the significant problems we face today is the abuse of spiritual gifts. 05) Paul’s teaching reminds us of the need for doctrinal purity in all ages. Proper understanding of doctrinal truth will keep us on the path of ministry & service to which God has called us & will keep us from becoming victims of cultural influences. 06) One of the great applications to us today is the area of church discipline. High standards should be set & maintained for church membership. Certainly a high standard for membership must be a reality if we are to expect healthy church life & renewal in our day. The Apostle Paul had planted the church in Corinth, and now, just a few years later, he was receiving questioning letters and reports of problems. The church was troubled with division, lawsuits between believers, sexual sins, disorderly worship, and overall spiritual immaturity. Paul wrote this uncompromising letter to confront and correct these Christians, answer their questions, and instruct them in several areas. He warned them not to be conformed to the world around them, but rather, to live as godly examples, reflecting Christlikeness in the midst of an immoral society. Unity Among Believers – The Corinthian church was divided over leadership. Some followed the teachings of Paul, others favored the words of Cephas, and some preferred what Apollos had to say. Intellectual pride, Paul pointed out, was firmly at the center of this spirit of division. In his letter, Paul urged the Corinthians to focus on Christ and not his messengers. The church is Christ’s body where God’s spirit dwells. If the church family is separated by disunity, then it ceases to work together and grow in love with Jesus Christ as the head. Spiritual Freedom – The Corinthian believers were divided on certain practices not expressly forbidden in Scripture, such as eating meat that had been sacrificed to idols. Self-centeredness was the root of this division. In such matters, Paul stressed spiritual freedom, although not at the expense of other believers whose faith might be fragile. If we have freedom in an area that another Christian might consider sinful behavior, we are to be sensitive and considerate, sacrificing our freedom out of love for our weaker brothers and sisters. Holy Living – The Corinthian church had lost its appreciation for the holiness of God which is our standard for holy living. In doing so, the church could no longer effectively minister to one another or be a witness to unbelievers outside the church. Church Discipline – By ignoring blatant sin among its members, the Corinthian church was further contributing to division and weakness in the body. Paul gave practical instructions for how to deal with immorality in the church. Proper Worship – An overarching theme in the book of 1 Corinthians is the need for true Christian love—love that will settle lawsuits and conflicts between brothers. A lack of genuine love was clearly an undercurrent in the Corinthian church, creating disorder in worship and the misuse of spiritual gifts. Paul spent a great deal of time describing the proper role of spiritual gifts and dedicated an entire chapter—1 Corinthians 13—to the definition of love. The Hope of Resurrection – The believers in Corinth were divided because of misunderstandings over the bodily resurrection of Jesus Christ and the future resurrection of his followers. Paul wrote to clear confusion on this crucial matter which is so important to living out our faith in light of eternity. If I speak in the tongues of men or of angels, but do not have love, I am only a resounding gong or a clanging cymbal. If I have the gift of prophecy and can fathom all mysteries and all knowledge, and if I have a faith that can move mountains, but do not have love, I am nothing….